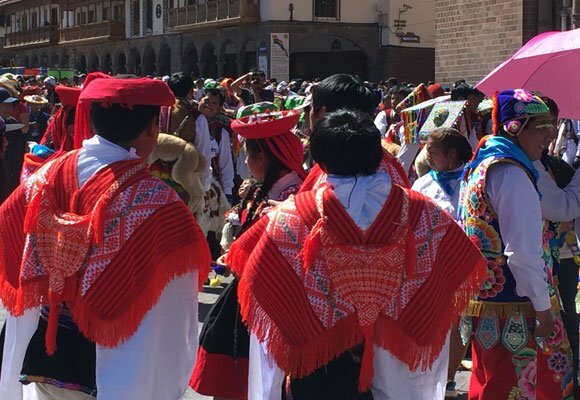 Cusco, in a valley high in the Peruvian Andes, has a history going back centuries. Starting in 1400, it was the capital of the vast Incan empire. 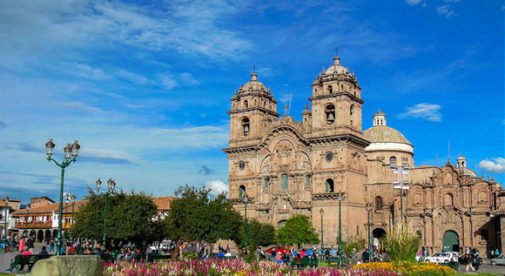 When the conquistadors came to Peru and the empire fell in the 16th century, it was an important regional center for the Spanish colonists, who tore down or adapted much of the ancient city’s old structures to create the picturesque colonial town that exists to this day. The colonial city lives on to this day, with restored cathedrals, churches, civic buildings, homes, and other structures radiating out from the large main plaza, called the Plaza de Armas. As you stroll among the red-tile roof structures, white-washed walls, and narrow cobblestone streets, you feel like you’ve stepped back in time. And the strong indigenous influence of the local people and those from the surrounding countryside, who continue to wear traditional dress, helps as well. Today, Cusco is a vibrant tourist center, the main staging point to the nearby wonder of the world Machu Picchu. 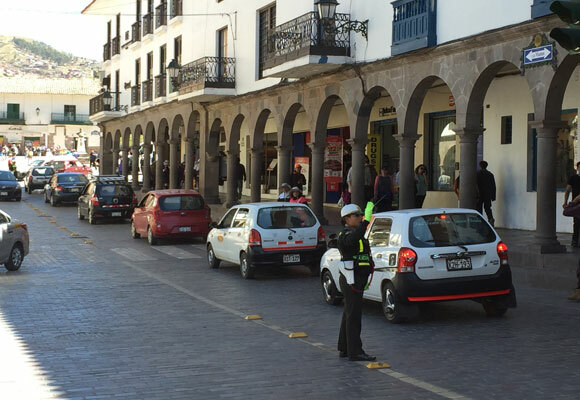 Cusco is a thriving city of half-a-million people and is itself worth a closer look, especially for retirees and other would-be expats. 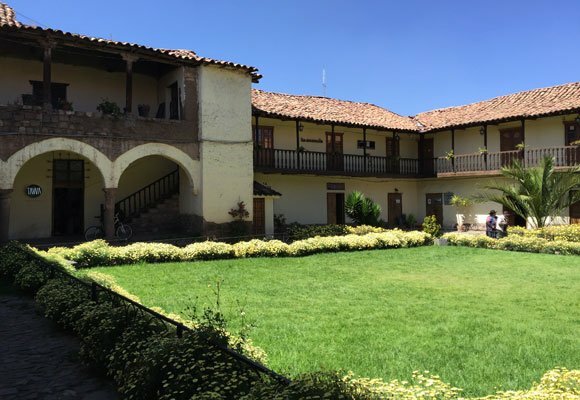 One of the main benefits is that the weather in Cusco is pleasant nearly year-round, with consistent daytime temperatures in the high 60s F, dipping into the 40s F at night. 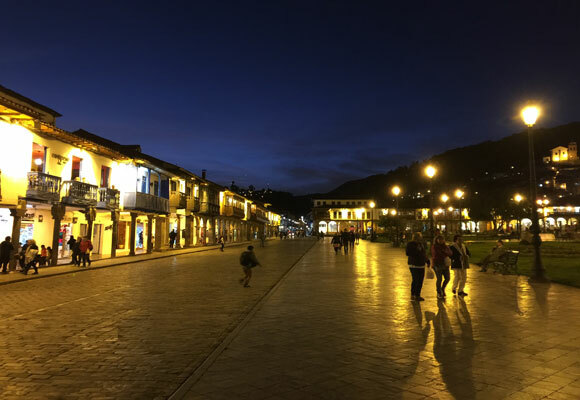 One thing to keep in mind when traveling to Cusco, besides bringing a warm sweater or jacket for nighttime, is that the elevation is 11,151 feet. Some people do experience altitude sickness for the first few days of their stay. Check with your doctor for medication to alleviate the symptoms prior to traveling. Being a tourist center, Cusco offers certain advantages that long-term foreign residents certainly enjoy. There are cafés, nice shops, high-speed internet, and more. One of the best features are the restaurants of every cuisine, including plenty of vegetarian and vegan places. At one corner of the Plaza de Armas is what is claimed to be the highest elevated Irish bar in the world. Food is low cost, whether you eat out or at home. Farmers’ markets in your neighborhood are the best place for fresh fruits and veggies. You’ll pay $1 for two pounds of grapes and $1 for a pound of pears. For $5 you can get a whole chicken. The local beer, Cusqueña, is only $4 for a six pack. A plato del dia (a hearty soup or stew, or plate of chicken with side dishes, for example) at a local neighborhood restaurant will run you $2 to $3. Even a fancy meal at an international restaurant will be under $10 to $15 per person, drink included. You can also find a cheap place to live, whether you rent or buy, as long as you stay out of the tourist-heavy heart of the historic center. There, property fetches a pretty penny because of business interests in the location. But in neighborhoods about 10 minutes’ walk from the historic area you can get a furnished one-bedroom for $350 a month. Go further out and you’ll only pay $200 a month, or even less. A three-bedroom home in the same area is just under $100,000, with two-bedrooms going for under $70,000. 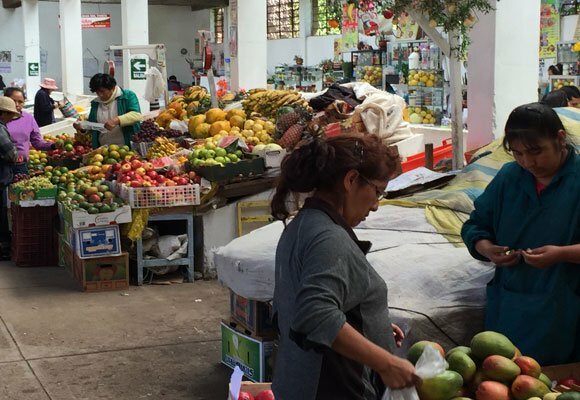 All told a retired couple could live well on under $1,500 a month in Cusco. And they’ll enjoy a great lifestyle in a one-of-a-kind setting. 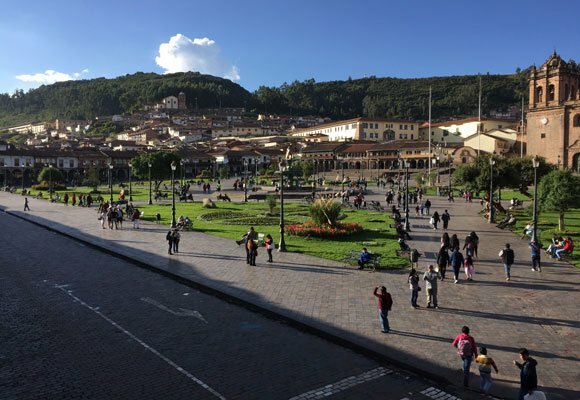 The Plaza de Armas is the main plaza and park in the center of the historic district of Cusco.